Every time we go on a short trip to a new city or country, we always see to it that we take home something that we can give to our family and friends. Here are some souvenir ideas if you ever spend some time in the Lion City. “The Fine City” t-shirts are largely available at the country’s souvenir shops. 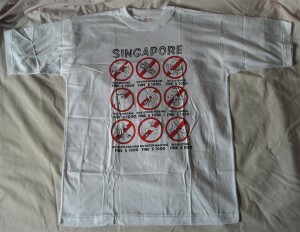 It is called as such because the t-shirt design is all about the prohibited activities in the country, such as “No Chewing Gum”, “No Littering”, and “No Flower-Picking”. We all know that Singapore government is very strict when it comes to cleanliness and order. 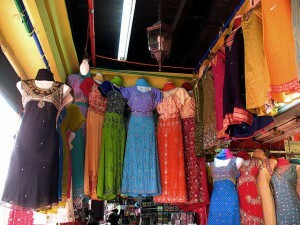 Aside from “The Fine City” and other bargain tees at the Bugis Street Market, you may also want to buy some traditional Singaporean clothing at Chinatown. Popular choices include cotton shirts with Chinese characters embroidery, replicas of the sarong kebaya, and the Chinese cheongsam or the tight-fitting dresses. Typically, a souvenir will remind us of the place where we’ve been to or our total experience when we were there. Also, when we hear the word “souvenir”, we all think of something that is locally made. 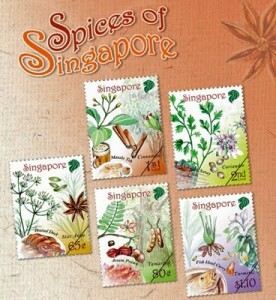 Since Singapore is widely known for its palatable cuisine, you might also want to bring home some spices used in making famous Singapore food, such as chilli crab, laksa, bak kut teh, and Hainanese chicken rice. 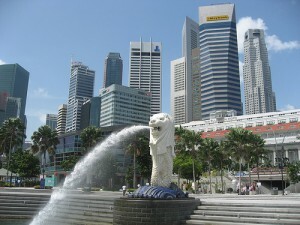 The Merlion is perhaps the most famous icon of Singapore. This mythical creature that is half-lion and half-mermaid comes in a wide variety of keepsakes, including playing cards, fridge magnets, plush toys, and statuettes.